AirClean Sealed System Construction - Perfect for any Allergy or Asthma Sufferer - Comes with Active Air Clean Filter which helps reduce Odors and Pet Smells while Filtering the Air! 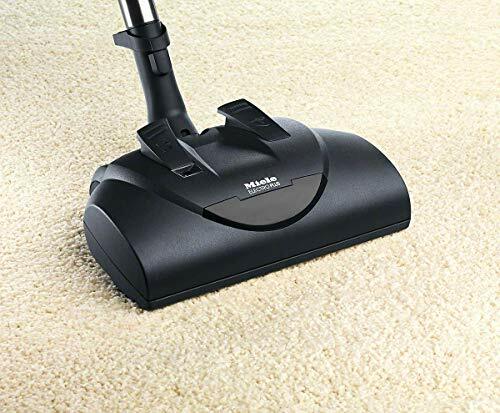 Comes with Miele SEB-228 Powerhead - Great For deep cleaning and restoring crushed carpet nap on all types of carpeting. Also perfect for picking up large amounts of pet hair from carpet. A perfect synergy of design and functionality, Miele's C3 series sets new standards in floor care. Superior engineering is balanced with carefully-selected, fine quality materials such as a durable stainless steel wand and specialized ABS plastic with a hard, impact-resistant surface. The C3 series features innovative skeleton construction, making it 2 lbs. less than the S5 series. Other conveniences include a 36-foot operating radius and foot pedal controls for quick and effective cleaning. C3 also features a silence motor to maintain a quiet environment, and an AirClean Sealed System that not only vacuums your floors - but also cleans the air your family breathes. 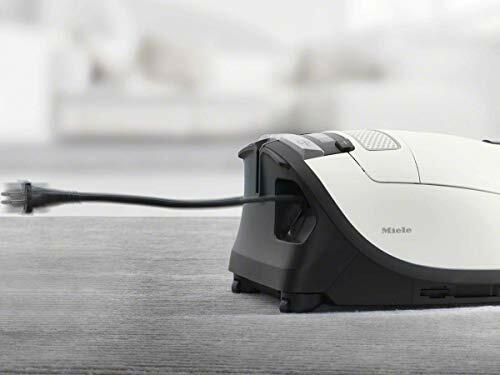 Miele's C3 Cat & Dog vacuum cleaner features an Electro Plus electrobrush. 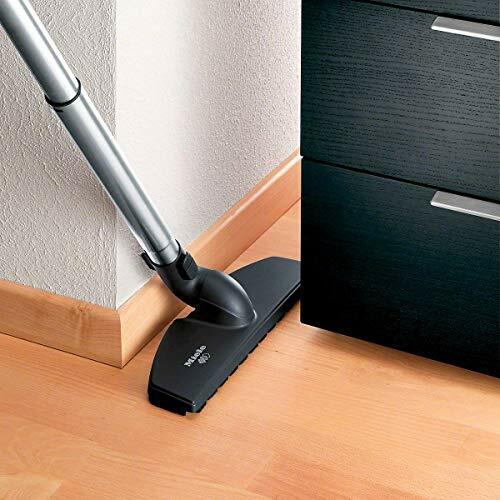 With a five-level height adjustment and an independent motor, the Electro Plus delivers the ultimate in cleaning power. A perfect choice for larger rooms with medium to deep pile carpeting. The Cat and Dog also includes the Parquet Twister - providing 180° rotation for the agile, yet gentle care of smooth surfaces. It also has an Active Air Clean Filter with active charcoal layers to neutralize and absorb unwanted pet odors. A telescopic, stainless steel wand and long electrical cord, with one-touch automatic rewind, provide a total cleaning radius of 33 feet. 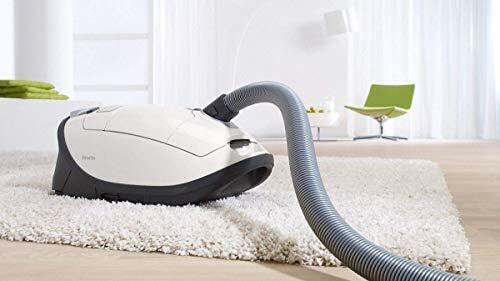 The C3 Cat & Dog is also equipped with a Deluxe Comfort Grip handle and six-stage suction control via a +/- foot switch. 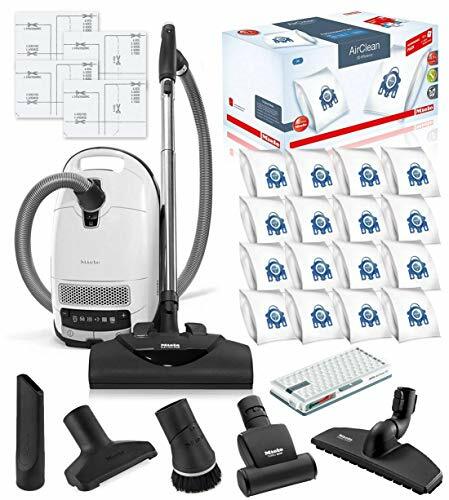 In addition to the three standard accessories - a dusting brush, upholstery tool and crevice nozzle - the Cat & Dog features a Mini Turbo Brush that easily removes pet hair from furnishings and a 3D bumper.